Whatever you do DO NOT SKIP TO THE VERY LAST PAGE!!! 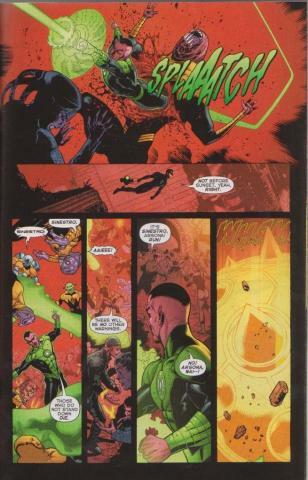 Sinestro & Hal engage in their first strike on Korugar to deafeat those yellow bastards of The Sinistro Corps. 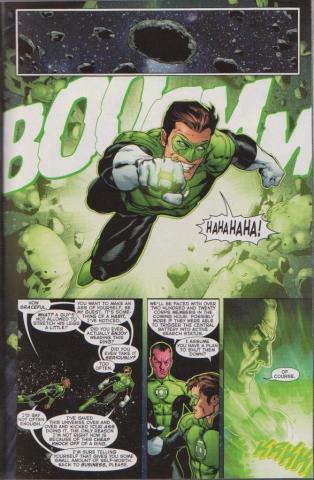 Meanwhile on Oa, Ganthet and The Guardians reveal their plans! 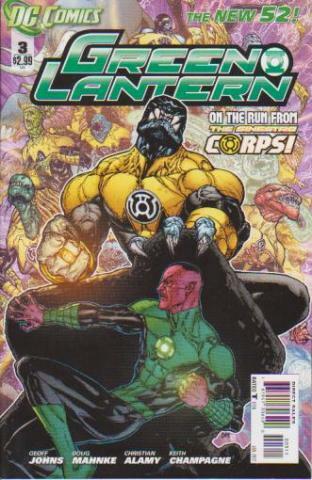 Written by Geoff Johns, this guy was born to write about the Green Lantern mythos and drawn by Doug Mahnke (Green Lantern, JLA). I’m loving this series.